Valentine's day is another 2 days, Are you ready to celebrate with your love one ? Or even if you don't have anyone yet, you still wanna celebrate the "love" right ? Obviously you wanna look even better than usual day. After chinese new year celebration, too much party going on, too much delicious food, and late night sleep, we are torturing our skin and of course our skin look dull. How to get back that brightening glowing skin ? Or if you are always having that dull skin ? 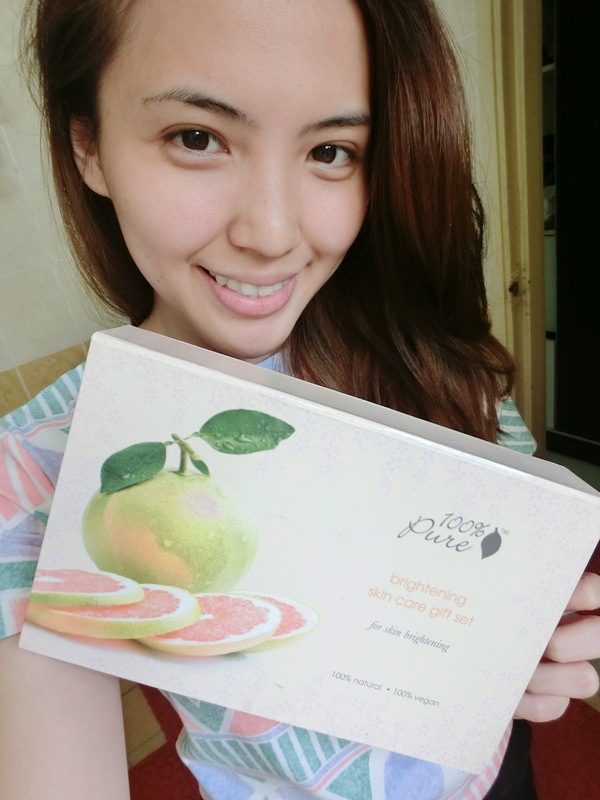 Then you can continue reading this post because I'm reviewing a skincare set which is for dull skin problem. 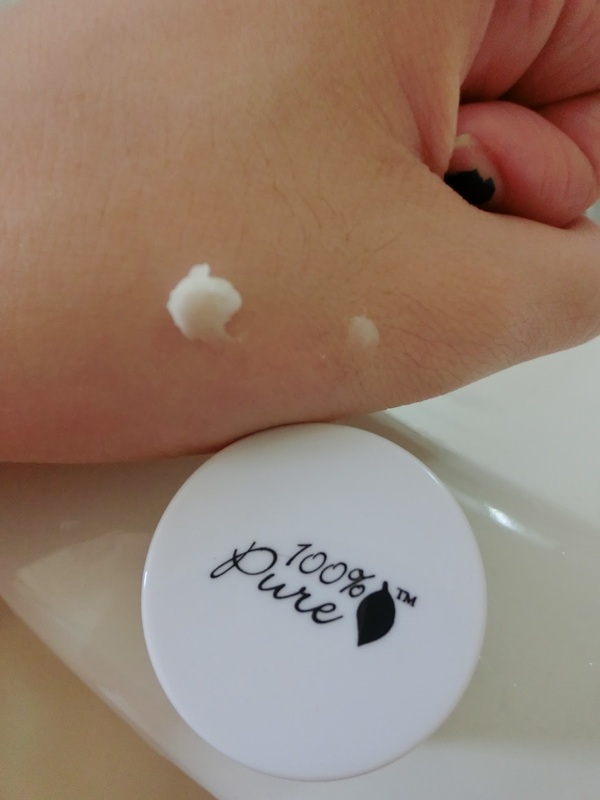 A little bit about 100% pure cosmetic, Susie Wang is the founder of 100% pure cosmetic. 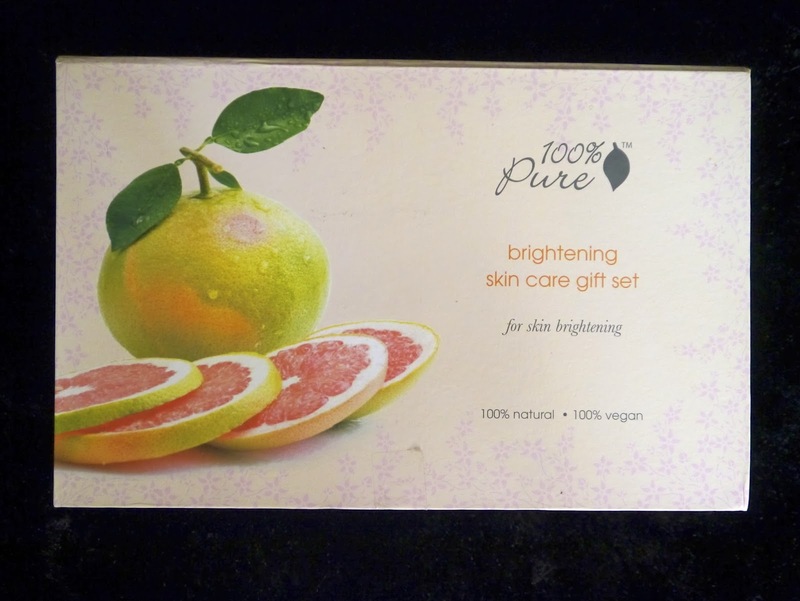 100% pure cosmetic is a health food for skin. They are originated from USA. Absolutely no synthetic chemicals, artificial fragrances, chemical preservatives and any other toxic ingredients. It is also certified by different bodies, certified organic by SGD Organice, Certidied by Ceres Gmbh, Certified by USDA, Certified by QAI, Certified organic by OTCO and certified organic by hawaii organic farmers association. Beside that, 100% pure is against animal cruelty, and their product do not testing on animals. Come with a face cleansing brush, cleanse, toner, scrub+ mask, night balm. How to use it ? Night time routine. First damp your face, and apply the cleansing foam to entire face. Then take the cleansing brush and do circular motion, do it gently. Then apply brightening scrub+mask to your wet face evenly and then start with wet finger and rub the jojoba seed to scrub all the dead skin cell, and rinse off. Night time application, After cleanse tone, eye cream, and essence take small amount and warm it up with your fingers and apply to your face and neck. - Brighter skin after 1 weeks. - they smell nice !! Overall, I really surprised with this brightening set because it is formulated with natural, gentle ingredients like bearberry, kojic acid, sake, fruit acids, liquorice, vitamin c, lemon juice and strawberries. 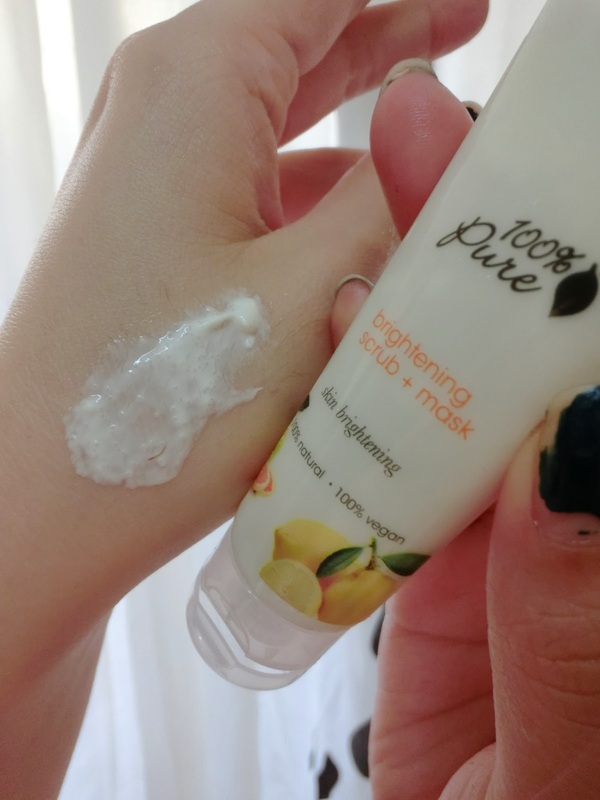 At first I was not so sure if it will work, but after a week of of using it, I notice that my skin is brighter, and it moisturised my skin throughout the night (i'm sleeping in an air conditioned room). The night balm is a wax texture, it helps my skin to stay moisturised throughout the night, its kinda like a lip balm but its for your face. I usually take a small amount and warm it up using my finger and its kinda hard to apply evenly to the entire face. I love when I wake up and wash my face, my skin feel soft and supple. The scrub+mask is a very gentle and my skin looks brighter after first use. It can scrub my dead skin cell without hurting my skin. And I like the smell of it, smell like fruits. No tight feeling after using this. I feel my skin is moisturised after using this product. The cleansing foam is one of the easiest form of cleanser that you just pump out the bubble and start cleansing your face, without the need to foam the cleanser. No tight feeling after using this. I give it 4/5 because the only thing that I don't really like is the cleansing brush. The brush cleansing tools come with fair soft bristle, but It hurt my face if I push harder on the surface of my face too much, I can only use it on a very gentle motion. But it is a great tool to do cleansing, better for those who wear makeup throughout the day, and it can remove makeup. What do you think of this product so far? will you try it out ? Any question will drop in the comment down below, i will try to reply you guys as soon as possible.